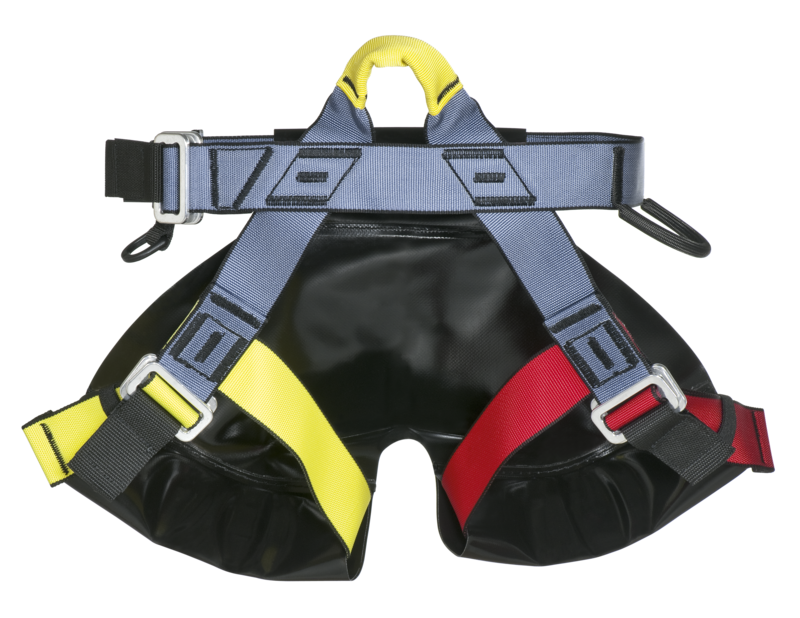 Sit-harness for canyoning. Totally adjustable. Upper sheathed tie-in point. 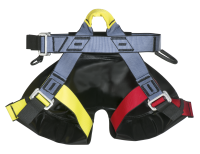 Waist band and thigh loop adjustment by light alloy quick-release buckles. Removable protection in PVC canvas for the thighs and buttocks (reference AVCA46 Spankprotect). A sheathed gear loop and a mobile gear loop with nylon D-carabiner. This canyon harness is easily adjustable. Very high abrasion resistant strap, with a special weaving.